So let's break it down for you. Of these three, leucine is the muscle-building powerhouse. To unlock the full effects of leucine, the latest research suggests consuming two to three grams a sitting, at least three times during the day. 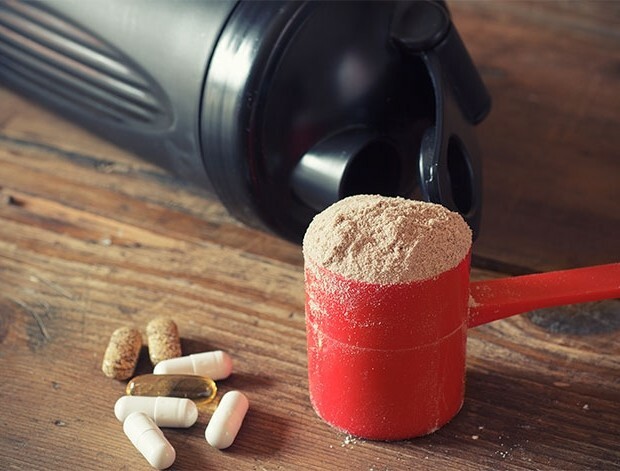 You’ll find that sweet spot of two to three grams leucine in one scoop of whey protein (of which about 25% is from BCAAs), one cup of cottage cheese, or three ounces of chicken breast. In fact, any animal protein has the leucine, isoleucine, and valine you need – in doses that are actually doable. Basically, if you’re eating real food, you don’t have to shell out for expensive BCAA supplements. It’s not that taking more will hurt you, it’s just that those added aminos may not help you build any more muscle. In fact, one study in the journal Amino Acids (yes, there’s actually a research journal named that) stated that the additional supplementation of leucine, one of the BCAAs, taken before and during anaerobic running, did not improve exercise performance. So, these study participants weren’t eating the recommended two to three grams of BCAAs per sitting in their low-calorie diet, but when they took BCAA supplements, it helped them retain muscle. And that’s hard to do when you’re trying to drastically slim down. The final verdict? It’s not that BCAA supplements have no merit. You should take them if you’re not getting enough in your daily diet. But when you eat two to three grams of leucine from food sources at least three times a day, you don’t need them.